Physicochemical Properties: Magnesium nitrate hexahydrate is colorless crystal of monoclinic system, which is the most stable nitrate hydrates at room temperature. Specific Density 1.6363, Melting point: 89℃. When heated above 90℃,it will thoroughly turn into basic salt. When heated ablove 330℃,it will thoroughly turn into magnesium oxide. 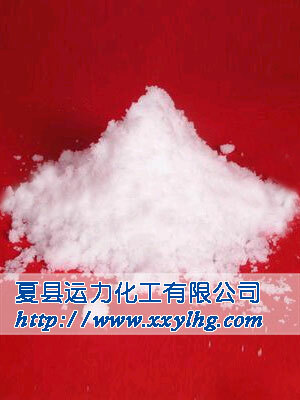 It is soluble in water easily, and is able to dissolve in alcohol. It is likely to spontaneously combust if mixed with organic chemicals. 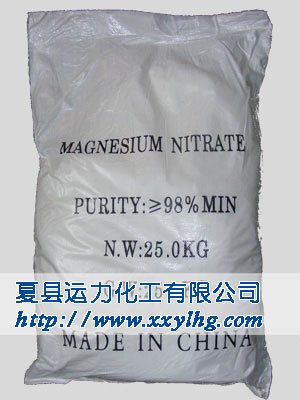 Applications and Usages: Magnesium nitrate mainly used in concentrated nitric acid as dehydrator, in producing explosives, catalysts and other magnesium salts, as well as incineration agent for wheat. Packag: 25Kg / bag, plastic inside and knitting bag outside, or in terms of customer's requirements. PLz feel free on asking questions.